When it's cold outside, remote start your engine using the DroneMobile app and stay connected to your car in a way that you never thought was possible. DroneMobile gives you unlimited range access to your vehicle from your smartphone or desktop so that you never feel too far away from your car. Find your parking spot with a touch of a button using DroneMobile Maps, available when you upgrade your subscription to DroneMobile Premium. DroneMobile Premium also connects you to the young drivers in your home with customizable notifications for speeding and after-hours driving. Forget to lock your doors? Or are you worried about the safety of your car? 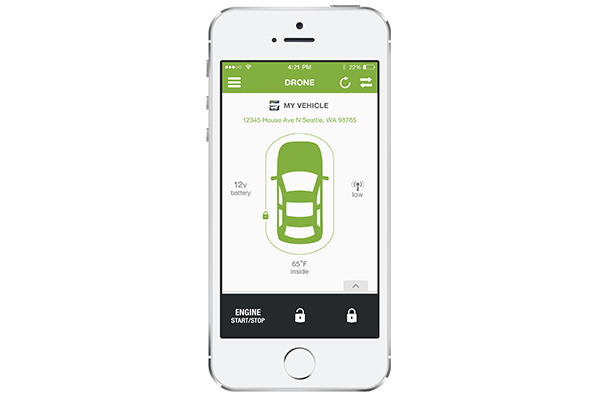 DroneMobile gives you the peace of mind of knowing that your car is safe. Using the DroneMobile app, easily check to make sure your door locks, and if a break-in ever does happen, you’ll receive an instant notification. You can also control multiple vehicles – great for families! – and assign more than one user to control a vehicle. It's easy with SmartStart! Are you tired of carrying around another clunky remote control on your keyring, or finding yourself out of range when you really need to warm up or cool down your car before getting in? 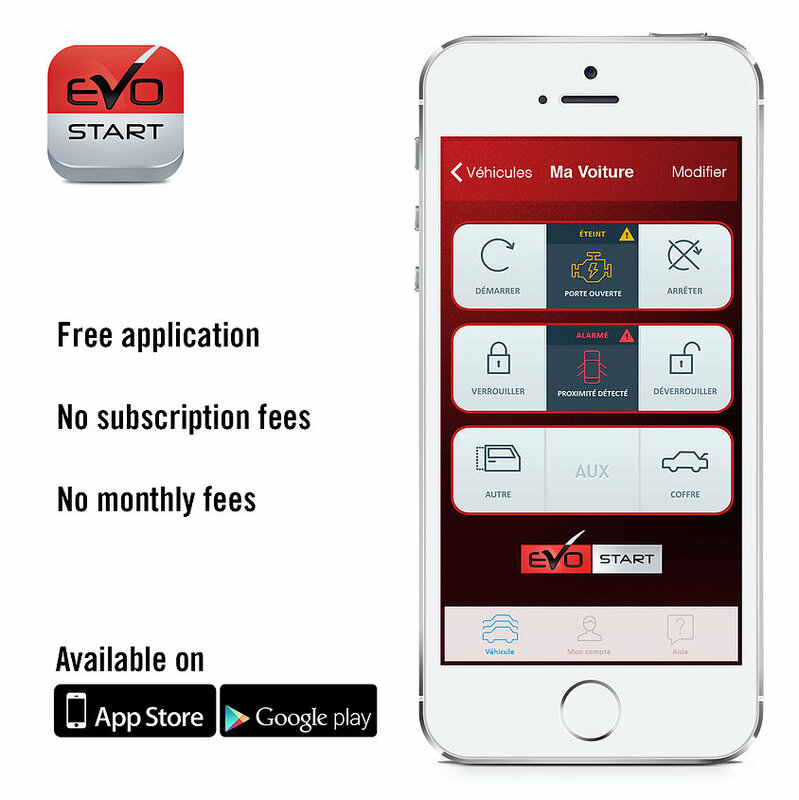 Now you can remote start or lock and unlock your car just by pushing a button on your iPhone iPad or iPod Touch; using the popular Viper SmartStart app from Directed Electronics, the leader in vehicle security and remote start. Lock and unlock your vehicle, hands-free. 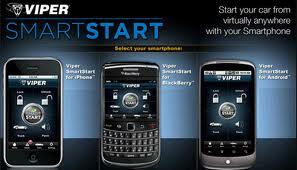 With Viper VSK100 It is now much easier to enter any vehicle without the need to search for your keys. When you getting close to the vehicle your smart phone will send a signal the VSK100 to open all doors. 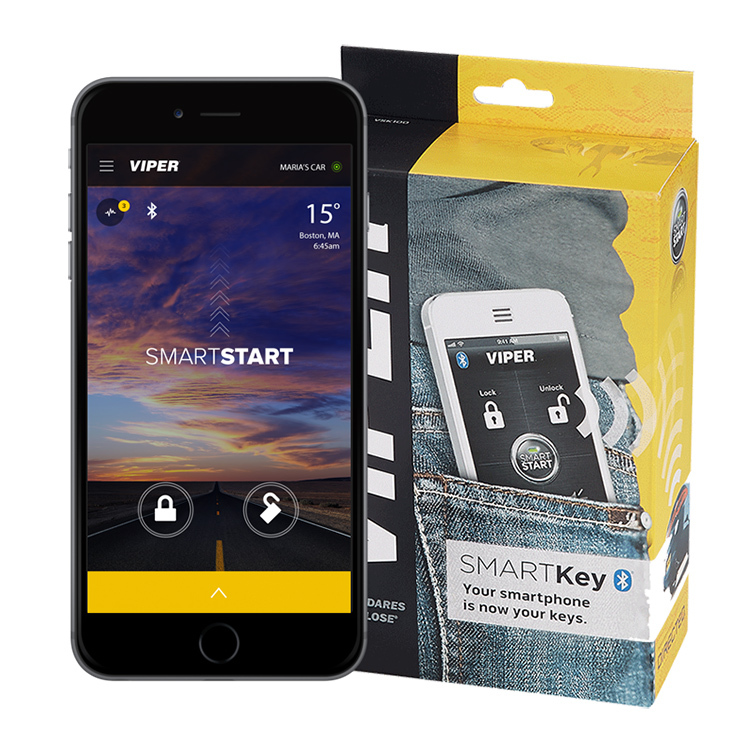 Install Viper SmartKey as a standalone unit to lock and unlock your doors, or add it to virtually any Viper security or remote start system allowing you to control your car with your smartphone. No keys. No fobs. No launching apps. Works like magic. Protects like Viper.